CHARLOTTE, N.C. (AP) — The Republican National Convention will be held in North Carolina’s largest city in August 2020 and party leaders said Monday they’ll gather with an eye on nominating President Donald Trump for a second term. 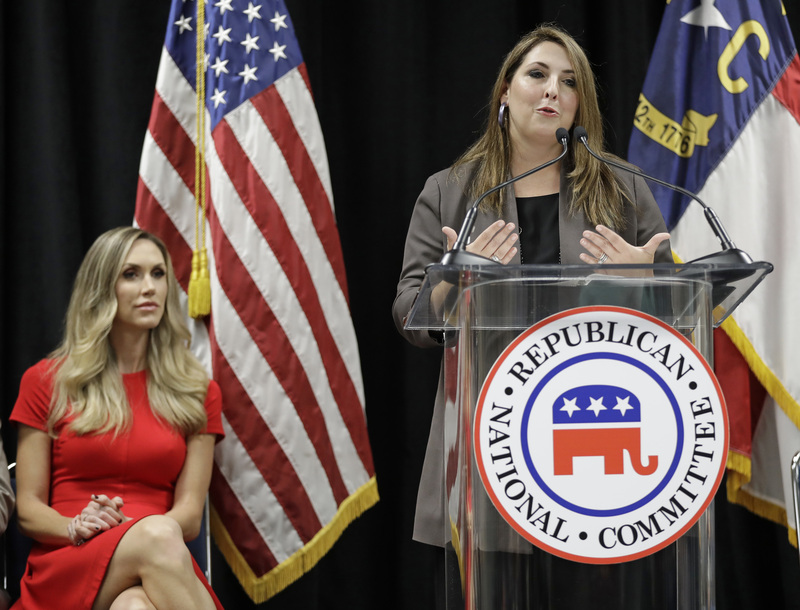 Party chairwoman Ronna McDaniel announced at a news conference that the convention will be held in Charlotte on Aug. 24-27. Mayor Vi Lyles said Charlotte has a chance to show it can host both major political parties. Charlotte hosted the Democratic National Convention in 2012. Lyles also noted that the convention will provide a cultural experience for the city’s school children to see the political process in their midst. A divided Charlotte City Council voted 6-5 in July to approve a bid to host the Republican convention. Charlotte had been considered a front-runner, although published reports showed several cities thought to be up for the convention didn’t actually submit bids. Moments after the vote was taken, Lyles issue a plea to the city for unity. But a host of people who spoke at the meeting that led up to the vote made it clear they didn’t want the convention in the city. Many of them cited Trump’s statements denigrating minorities, Muslims, women and the LGBTQ population. There’s also the issue of factions who support and oppose Trump clashing in Charlotte. “The door is wide open. Glad to listen. Listening is a great healing power,” North Carolina GOP chairman Robin Hayes said. “But I would greatly discourage anybody who has even the slightest notion of coming in simply to cause trouble, simply to be a disruption and to call attention to themselves and their cause, as opposed to the benefit of the city, the county, the state and the nation, they need to stay away,” Hayes said. Toni Anne Dashiell, national GOP committeewoman for Texas and chair of the party’s committee on arrangements, said previous experiences have shown her host cities were welcoming despite the political scene. “We will always be there and we will always be respectful and engage with whomever, and make sure it’s a positive experience,” Dashiell said. The 2020 Democratic National Convention is scheduled for July 13-16 in a city to be determined. Published reports show eight cities are in the running, including Atlanta, Miami Beach, Milwaukee and Houston. Both conventions were scheduled to avoid coinciding with the Summer Olympic games.